All of the love sayings on this page are from unknown sources, for words of love from named people please take a look at Love Quotes. 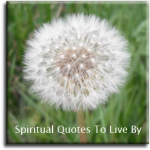 There is also a page of Channelled Messages of Love. A grandma's heart is a patchwork of love. 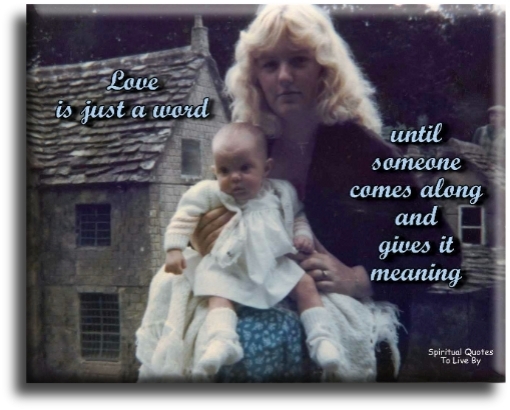 A mothers love is like a circle... It has no beginning and no ending. A person's most useful asset is not the head full of knowledge, but a heart full of love, and ear ready to listen and a hand willing to help. A wise physician said.. "The best medicine for humans is Love." Someone asked, "What if it doesn't work?" He smiled and answered, "Increase the dose." Being a family means you are part of something very wonderful. It means you will love and be loved for the rest of your life. Between the Earth and the sky above, nothing can match a grandmother's love. Freedom is creation because it is love. Whom you seek to imprison, you do not love. 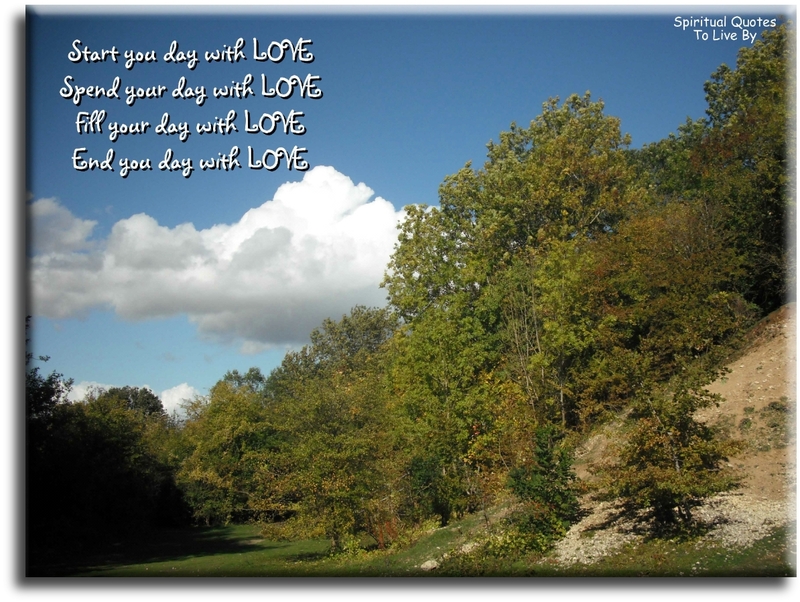 Greet each day with an open heart and amplify the vibrations of love in the world. Hugging is a silent way of saying... you matter to me. If love flows in, Love will flow out. Love knows no bounds, no limits. Love is happy, joyous, free. Love transforms the thing it loves. If two hearts are meant to be friends - no matter how long it takes, how far they go, how tough it seems - fate will bring them together to share friendship forever. In a bitter world... one drop of true love is an ocean in the desert. Instead of getting hooked in drama.. Fly above it and send prayers and love. Is there anything more wonderful than a grandmother's love for her grandchildren? It's just pure love, nothing but pure love. It is possible to give without loving, but is is impossible to love without giving. It's not about how much love you have in the beginning, but how much love you build until the end. It's not the song that makes you emotional, it's the people and memories that come to mind when you hear it. It's the actions you take when no one is watching and the kindness you share when there is nothing to gain, that shows the depth of love in your Soul. Just when I thought I was too old to fall in love again. I became a grandparent. Let us love, not in word or speech... but in truth and action. Love and imagination are the breath of creation. Love comforts like sunshine after the rain. 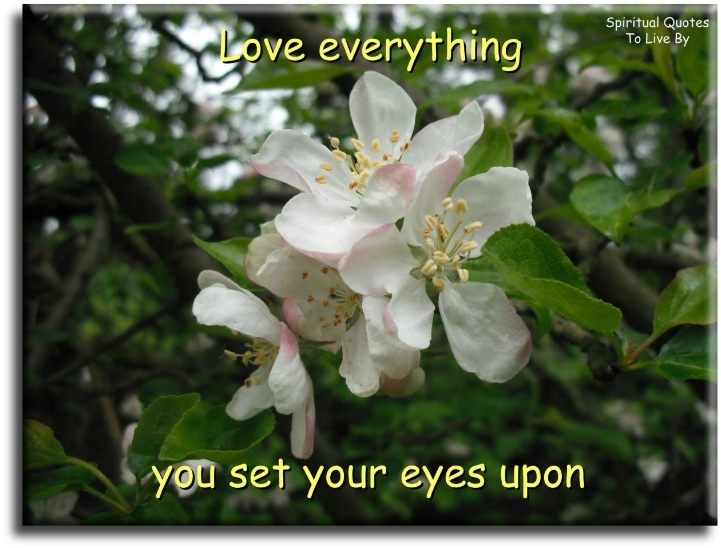 Love everything you set your eyes upon. Love is a flint that sparks a flame, that will either flicker and burn out or continue with a warming glow. Love is a ring - and a ring has no end. Love is always in the air. 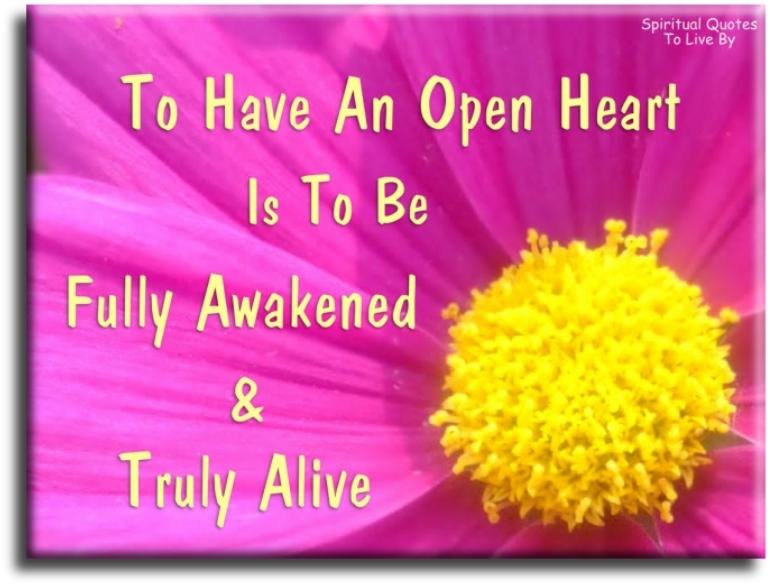 Open your heart and breathe it in. Love is just a word... Until someone comes along and gives it meaning. Love is like a violin... The music may stop now and then but the strings remain forever. Love is like sunshine itself, and transforms your world into sweetness and flowers. Love is not written on paper, for paper can be erased, nor is it etched on stone, for stone can be broken. But it is inscribed on the heart and there it will remain forever. Love is the glue of the Universe. Love is the harmony that makes the world sing. Love is to let those we love be perfectly themselves, and not to twist them to fit our own image. Otherwise we love only the reflection of ourselves,we find in them. 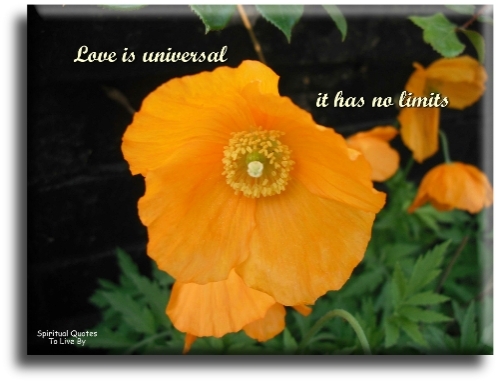 Love is universal, it has no limits. Love is what we are born with... fear is what we learn. Love isn't like a reservoir, you'll never drain it dry. 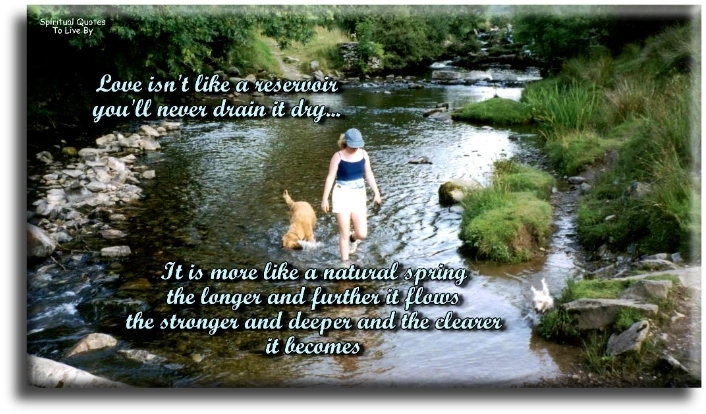 It's more like a natural spring, the longer and further it flows, the stronger and deeper and the clearer it becomes. Love opens the door to greater understanding, just as understanding opens the door to greater love. No one needs love more than someone who doesn't deserve it. Nothing lasts forever. Love it while it's here. 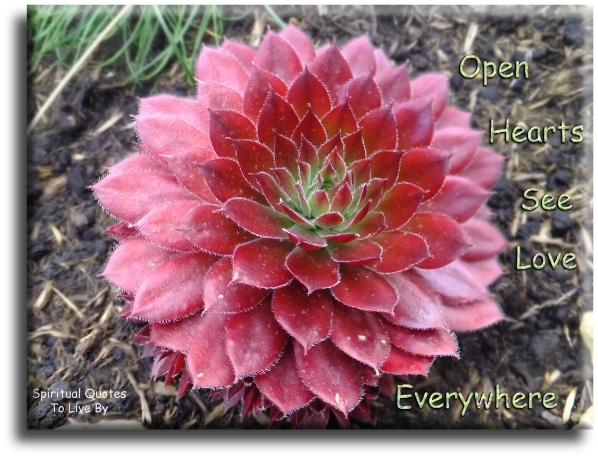 Open hearts see love everywhere. Plant a little love. .. Watch a miracle grow. Some people are going to love you, no matter what you do. And some people will never love you, no matter what you do. The best way to hold a man or woman is... in your arms. The gold of one's heart is far more precious than the gold of one's purse. The greatest thing in life is love to give and to receive. A life of love and joy and peace is the ultimate to achieve. The more I have, the easier it becomes to give. The more love you radiate out into the world, the more love will be returned to you. Love can change your whole outlook on life. Love can even change the appearance of a person. Even the plainest person becomes beautiful when the heart is full of love. Love does indeed transform and transmute as nothing else can because it is the greatest power in the Universe. It is love that will weld you together. Love that will make you one. Love that will enable you to see the best in others. Love that will surmount all difficulties and all that will divide and separate you. There is no love like that of a mother for her child. 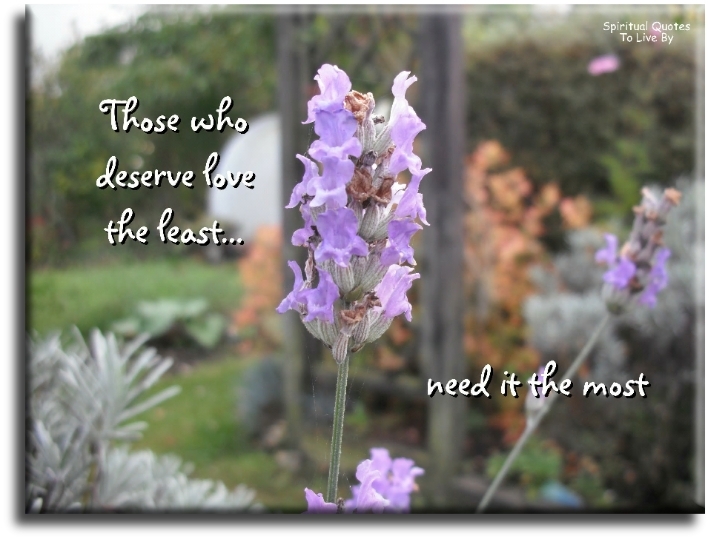 Those who deserve love the least... need it the most. Throughout your whole Earthly life, there is a Spiritual Realm within, that always loves you... Unconditionally. Time flies, suns rise and shadows fall. Let time go by, love is forever over all. True love doesn't have a happy ending.. true love has no ending. True love is based on understanding rather than emotion. Counted little fingers, counted little toes. Held a little hand, kissed a little nose. Soothed a little tummy, read to little ears. 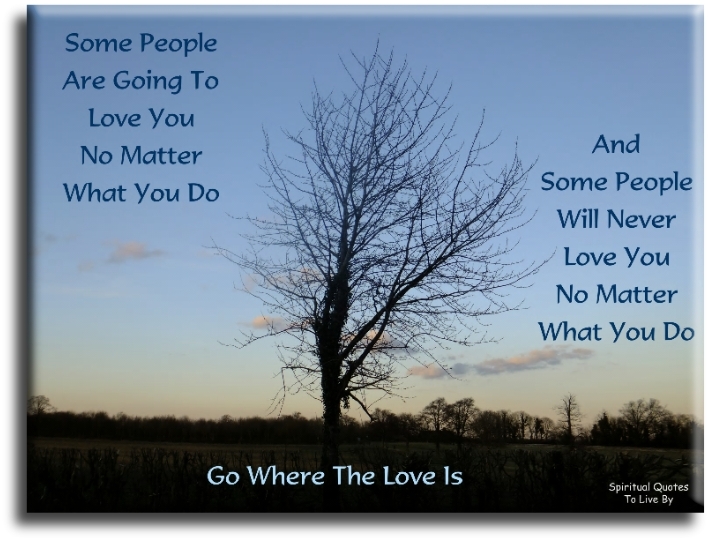 Where you do not find love... put love and then you will find love. You don't love someone for their looks, their clothes or their car. You love them because they can sing a song only your heart can understand.